There has been plenty written about the impact of e-commerce on retail infrastructure. Store closings and malls struggling to redefine their purpose have been the subject of major stories in a variety of mainstream media outlets. Reading those stories, it’s easy to get the impression that e-commerce is cratering real estate markets and creating ghost towns. That’s hardly the case, at least not in many major cities where e-commerce has actually had the opposite effect by increasing the demand for real estate. That may seem counterintuitive until you explore the dynamics of the e-commerce market. First is the consistent, strong growth that shows no sign of peaking. According to Statista, U.S. retail e-commerce sales grew from $298 billion in 2014 to $452 billion in 2017, an average of better than 13 percent growth per year. But, if accommodating growth was the only issue, retailers would simply expand existing regional distribution centers in areas where land is relatively inexpensive and readily available. That’s not a viable strategy because the e-commerce market is dominated by a major player with the market power to reset consumer expectations for e-commerce delivery. First, it was two-day delivery, then next-day delivery, and now same-day delivery. Everyone in the market must adapt to these changing expectations or risk losing market share. It simply isn’t possible to consistently provide next-day or same-day delivery from regional warehouses. The only way to meet these expectations is to move products closer to large groups of consumers. In addition, there is the challenge of reverse logistics. Return rates for in-store purchases average less than 10 percent, while e-commerce return rates can be 30 percent or higher. The challenge is not only how to get returned goods back from the consumer but how to do so without destroying all of their economic value. One solution is the development of small, dedicated sites where consumers can return goods more efficiently. Not only is a new type of urban warehouse emerging, the impact of this trend is rippling well beyond the e-commerce and supply chain industries. It would be nice if we could simply shrink down the design of large regional warehouses to fit in the smaller footprints available in urban areas, but that isn’t necessarily practical or what’s needed. These new facilities are much more about product movement than product storage and so have different requirements than traditional warehouses. In some areas, such as the U.K. and Far East, where population density is high, they have already emerged. Another trend that is emerging internationally, particularly in gateway cities like Hong Kong and Singapore, is the development of the multi-story warehouse. This trend has now expanded from the Far East to the U.K.
Levy points out that the economics don’t favor multi-story development because of the increased dependence on automation. “Racking systems are able to pick and clear assets from the higher areas of a facility more efficiently and cheaply, so the average roof height of a DC has gone up significantly,” making multi-story development less of a necessity. The future, as always, isn’t entirely clear, but one thing is certain: distribution is moving closer to end customers, and that means more distribution centers in urban environments. 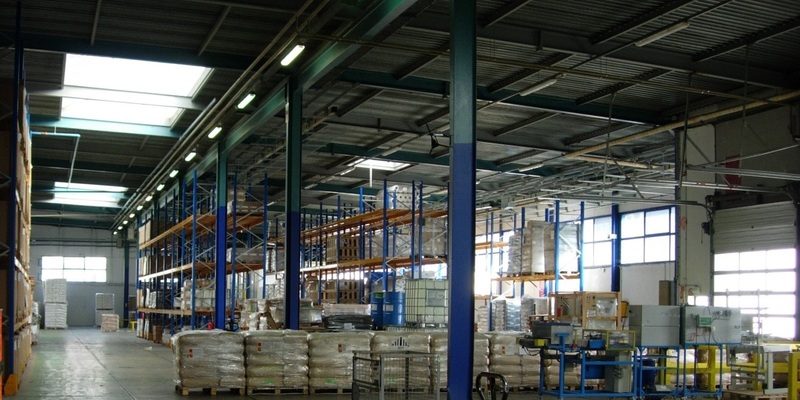 While there are some differences in the design of urban distribution centers in different parts of the world, there is consensus on their impact. The bottom line for real estate professionals: There is a shift under way in the definition of what constitutes institutional-grade industrial real estate, which previously was confined to properties like large warehouses and distribution centers. In urban centers, that is driving up demand, prices, and the length of leases.